Perfect for fae folk or rangers, this Woodland Leather Body Armour provides lightweight protection for LARP combat or training. This intricately detailed leather armour is also well suited for cosplay or theatrical productions. Hand crafted in our shop from 7/8 ounce vegetable tanned leather, this leather harness is finished with antique brass hardware. The brown leather has been engraved with a woodgrain design and molded with shaped edges to resemble curling bark. This leather harness features grommet holes at the shoulders so the matching Woodland Tree Bark Pauldrons (DK5109), sold separately, can be attached. The Woodland Leather Body Armour is adjustable with two buckled straps on each side. 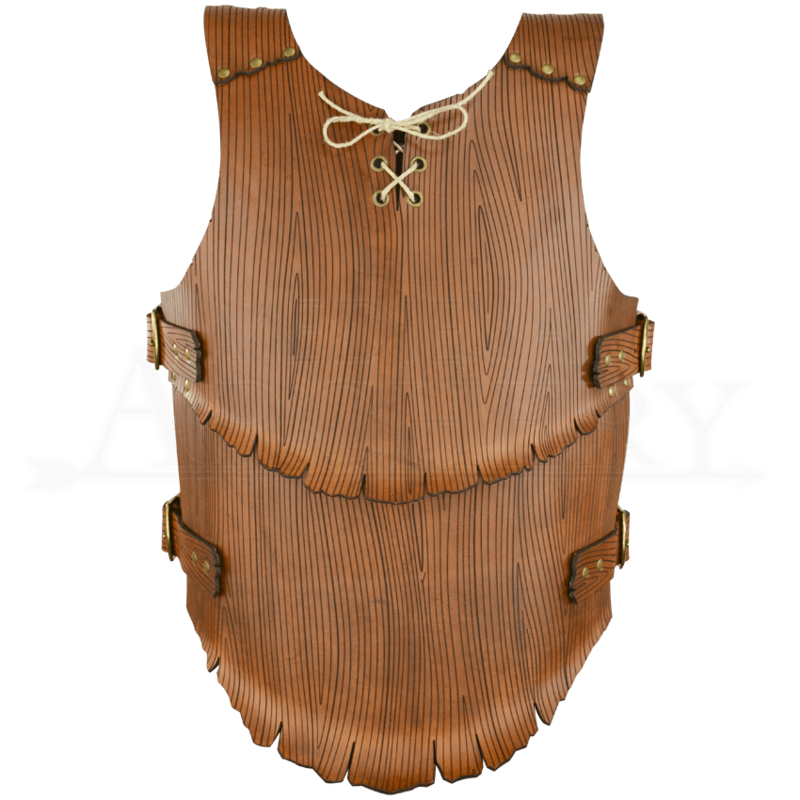 Extremely comfortable and attractive, this leather cuirass can be combined with any of our Woodland or Leaf armour pieces to create the ideal kit for your persona.